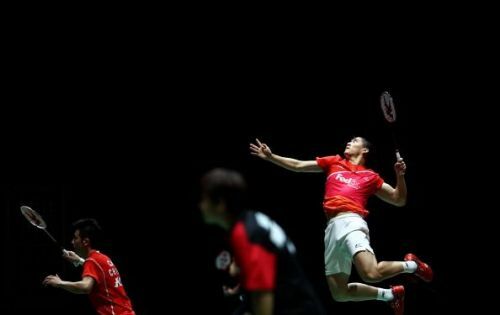 Badminton has grown by leaps and bounds in the past few years. Often considered a pastime and inferior to the more glamorous tennis, the sport has grown to become the 2nd most participated in the world. This rise can partly be attributed to the rise of international superstars like Lin Dan, Lee Chong Wei, Saina Nehwal, PV Sindhu, Carolina Marin and Viktor Axelsen. These stars have ensured that their constant success is followed by fans both from their countries and overseas. However, one telling factor that has contributed to its growth is the improved technology along with the physicality of the sport. The game has evolved into a blink-and-miss event, with powerful smashes dominating rallies. Though the speeds of smashes have always been incredible, the latest introduction of Hawk-Eye has now allowed us to truly appreciate their ferocity. Compare the fastest hits of badminton to tennis, and the difference is scary. While Sam Groth holds the record of the fastest recorded serve at 263.4 km/h in Tennis, the fastest recorded badminton hit is 493 km/h. Tan Boon Heong of Malaysia clocked this astonishing speed during a special experiment. Though outside of competition, this is a pointer to the mind-blowing speeds badminton players can generate. Let us take a look at the fastest competition smashes, which are also equally incredible. The Indian shuttler, once the country's brightest prospect in men's singles, has been plagued by injuries in recent time. Multiple setbacks forced him to miss the 2016 Rio Olympics and suffer a drop in rankings. During his peak, however, the Hyderabad lad could match up to even the best. Some of his best achievements include winning the 2014 Commonwealth Games and becoming the first Indian male player to reach the quarter-finals of the Olympics, doing so in 2012.The Japan Open Superseries in 2015 was one of the last tournaments Kashyap played when fully fit. 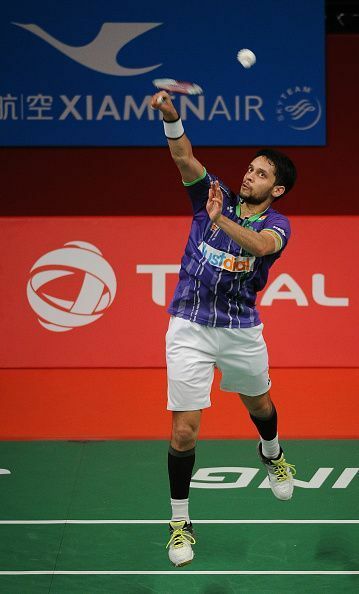 The 31-year old beat 3rd seed K.Srikanth on his way to the last-eight before falling to the 6th seed Chou Tien-Chen. It was during this tournament that Kashyap produced a cracker of a smash, clocking 401 kmph. Lin Dan had also produced a smash of the same speed during the same tournament.